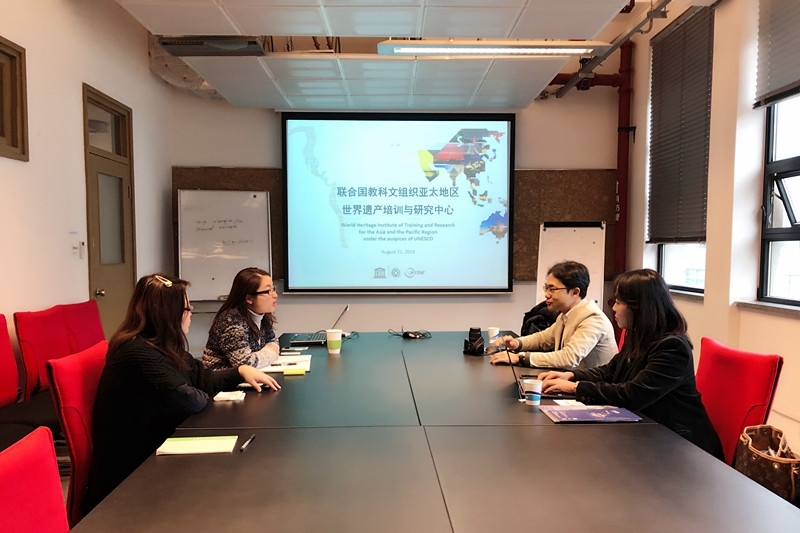 On December 27th, Professor Wonshok Lee of College of Architecture, Hongik University, Korea and his research team member Ms. Yinsung Esther Song visited WHITRAP Shanghai, for preparation of establishing a category 2 institution under the auspice of UNESCO. The potential theme would be “World Heritage Interpretation.” Project Specialist Hong Li and Project Specialist Xi Luo received and met with the visitors. Firstly, Hong Li briefly explained the overall structure of WHITRAP and the strategy of WHITRAP from 2014 to 2019. And then she focused more on Shanghai center, introducing our employees and the working framework, which consists of five parts: training, research, cooperation and exchange, dissemination and promotion, as well as information and service. After the presentation, they discussed some issues in regard to organization, operation, financial resource, and facilities of Shanghai Center.